A handful of young Australians working in the mortgage and finance industry have been recognised for their excellence at the inaugural Young Leaders in Finance Awards. The Momentum Media event was held at the Hyatt Regency in Sydney on Friday night (22 June), where more than 400 young professionals from the financial services sector gathered. The MFAA’s Sabrina Cortez was named Marketing Professional of the Year, while Jordan Mutton of Positive Lending Solutions took home the award for Lending BDM of the Year. Regional Professional of the Year went to Harley Radovan of Focused in Finance, Jack O’Reilly of funding.com.au grabbed the gong for CEO of the Year and Neue Black founder Marshall Condon was named Finance Broker of the Year. 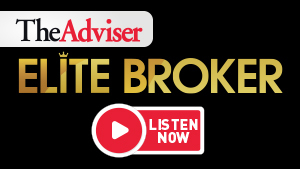 Eventus Financial’s Alex Veljancevski added another accolade to his collection by taking home the Mortgage Broker of the Year Award, just months after being named Broker of the Year at The Adviser’s Better Business Awards in NSW. Melbourne-based broker and financial adviser Sam Robinson of Pursue Wealth was named Thought Leader of the Year. “It’s fantastic to see so many mortgage professionals and brokers being awarded for their efforts,” Momentum Media’s managing editor of mortgages, James Mitchell, said. Momentum Media is proud to support Australian businesses and recognise professionalism in financial services. Nominations are now open for the Women in Finance Awards, which will take place in Sydney on 20 September 2018. The full list of winners at the Young Leaders in Finance Awards is now available.